Custom-designed to fit the compartments of our 3- & 6-Compartment Natural Canvas Hanging Sweater Organizers, this cotton-blend drawer gives you even more closet storage options. There's no assembly required and it won't take up any additional closet rod space. Simply slide a drawer into your bag's compartment to create a private, dust-free space for scarves, accessories, hosiery and small items. 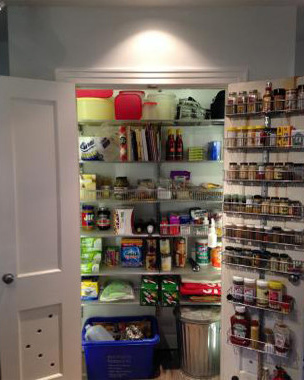 You can even use one as an open bin to organize shelves or cabinets. Will this stand up on its own if I put it on an open shelf, or will it collapse? The drawer portion of that organizer will not collapse and can be used as a standalone on a shelf. Yes, our Hanging Sweater Organizer is ideal for storing bath towels - either with or without the optional Hanging Sweater Drawers.